This is a fantastic recipe for when the nights start to draw in, with its warming earthy flavours of cider, Jerusalem artichoke and truffle. The following serves 4 as a starter or 2 as a main course. Add all the ingredients for the pork cheeks to a sauce pan, making sure the meat is well covered. Cover with a lid. Place on a very low heat and simmer for approximately one hour or until the meat is tender, keeping the lid slightly ajar. Remove the cheeks from the pan and set aside for later. Strain the liquid through a sieve, return to the pan and reduce until it lightly coats the back of a spoon. For the puree, melt the butter in a saucepan and sweat the shallot and garlic until soft. Add the Jerusalem artichokes, coat in the butter, and add 150ml of the cider sauce. Cook out the liquid until the artichokes are soft and then blitz them to a fine consistency. Add a splash of truffle oil and the cream, stirring well. Season to taste. 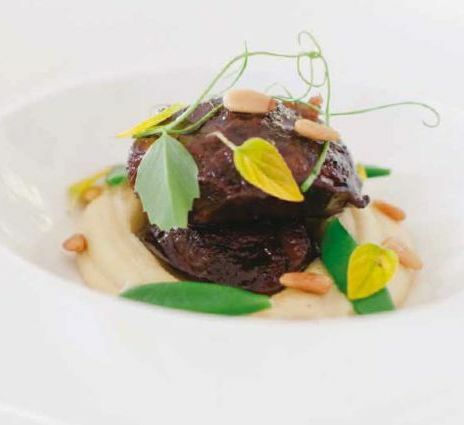 Place a small portion of the puree on each plate, top with the pork cheeks (slice if you prefer) and garnish with the toasted pine nuts and oregano leaves. 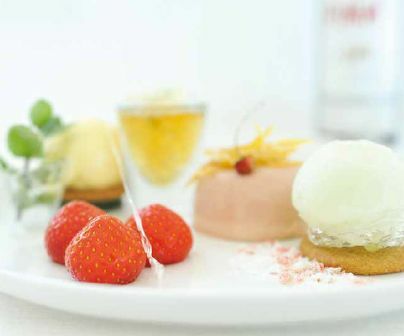 Our inventive desserts have a bit of a cult following – imaginative, surprising and totally indulgent – it’s always a pleasure to take one of these beautifully presented plates to a table, stand back and enjoy the collective gasp. 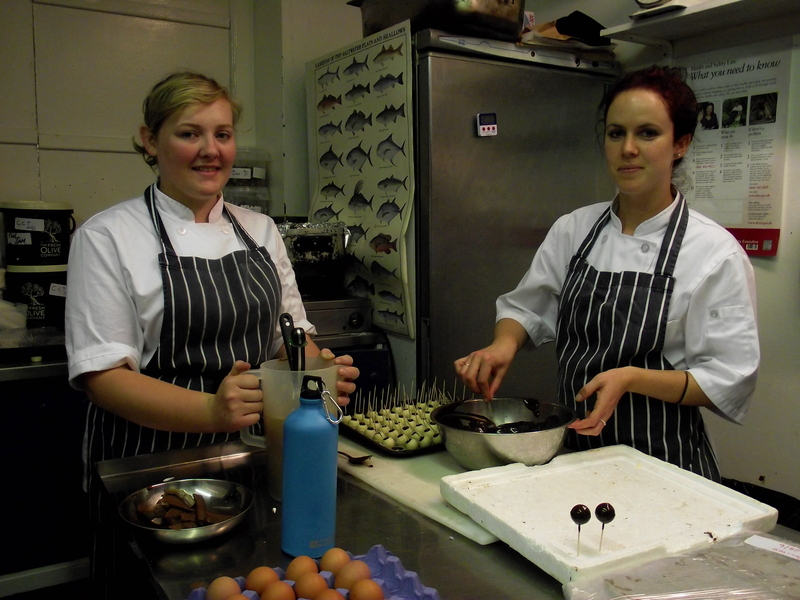 Time to meet two of the personalities in pastry – Sally & Lucy – and find out what makes them tick…. Lucy Holland is a St Ives girl, just finishing her stint at the catering department of Cornwall College, Camborne, where she recently won Apprentice of the Year for the second time. Lucy has worked with us at Porthminster for four years, starting on a work experience placement. These days Lucy plays a major role in the pastry section, lending her creativity and enthusiasm to the kitchen team. 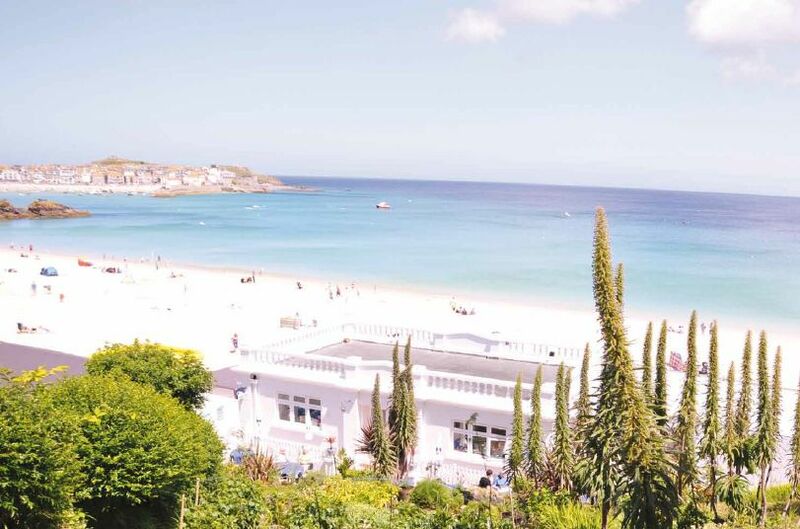 “Walking into a kitchen for the first time as a young trainee is tough – Porthminster is a busy kitchen with a lot of chefs and it’s also quite small and noisy! You have to be able to block out a lot of the background comings and goings and concentrate on your section and prep,” Lucy tells us. Lucy, who has been working towards an NVQ3 in Patiserrie, has always known this was where her passion lay. 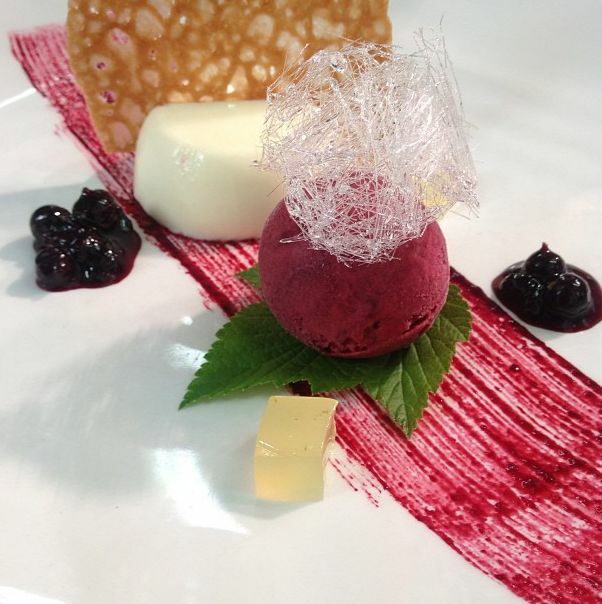 “Pastry is colourful, inventive and there’s a lot of fun to be had experimenting with texture. I love thinking about how the different components of any given dessert will work together, and learning skills like tempering chocolate.” For Sally, achieving technical perfection is important, and her eye for detail is something very special. “At Porthminster we are encouraged to be creative and come up with ideas as a team. Working out how those flavours and concepts will actually come together on a plate is the technical challenge for me,” explained Sally. As well as Lucy’s bold creative ideas and Sally’s elegant technical prowess, the pastry team benefits from the experience of both Michael and Ryan, Exec and Head Chef respectively. 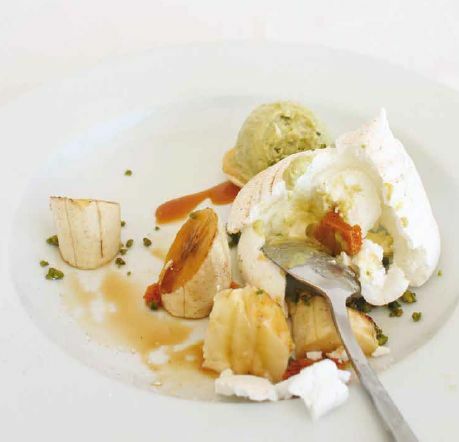 Many of the classic Porthminster desserts, such as Deconstructed Pimms and Caramelised Bananas have been honed and perfected over years, and the task is to get them out just right each time. Other new dessert specials, such as the Jaffa Cake Special, are joint efforts. Ryan and Karen (another member of the pastry team) collaborated to create a new take on the Malva pudding, a South African favourite, in this case made with the addition of orange and served with vanilla ice cream coated in chocolate, with a Cointreau gel. Both Sally & Lucy have big plans for the future. Both design and make unique cakes to commission (contact info@porthminstercafe.co.uk to find out more). Whilst Sally is looking to attend more specialist courses in London on cake design, Lucy is keen to head off travelling and gain experience working in different kitchens around the world. Ultimately however, she would like to return to St Ives and open her own dessert & cocktail bar which we’re sure will be a massive hit! Summer is upon us and the Cafe is a hive of activity from morning to night, as it’s white-washed walls bulge contentedly at the seams with a constant stream of staff, deliveries and guests. Amidst the mountain of prep, we grabbed a few minutes with Executive Chef Michael Smith, to find out what’s on the menu this summer…. We hope to see you down at the beach this summer. And remember, if we happen to be full for lunch and dinner, you can now visit us for breakfast instead!